FEM's 2018 EMEA Summit opens its doors next week. Here are just some of the many reasons why you should be there. The FEM EMEA Summit is just over a week away at the Intercontinental O2, London, on the 8-9 November 2018. Set to bring more than 300 global mobility professionals together, the FEM Global Mobility Summit is the best event of the year for industry specialists to gain fresh insights, share best practice and make invaluable new connections. 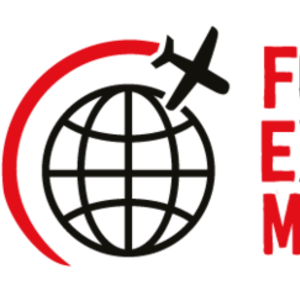 The Forum for Expatriate Management is exactly as its name suggests – a forum where the industry leaders and innovators share their ideas and best practice. It is the arena for Global Mobility professionals from all sectors and disciplines to meet together and learn from each other. Drawn from right across Western, Central and Eastern Europe, the Middle East and Africa, our speakers are senior figures from a huge range of industries and sectors and are invited to speak precisely because they operate on a global scale, but also because they understand the unique challenges of their region or country. With our biggest line-up of speakers yet, engage with industry leaders, innovators and experts from all over the region. Join senior figures from organisations including: Arcadis, Astra Zeneca, BD, Bisaf, the British Council, Capco, Cognizant, DXC, E.ON, EY, Heineken, Honeywell, IBM, Foster & Partners, Philips, Publicis Re:Sources, Ramboll, Siemens, The Home Office, Time to Change and WorleyParsons. Do you like to listen and take notes? Or do you prefer to work through issues and ask questions, to share your own insights and to challenge others’ thinking? Choose from a wide range of formats to suit your own style of learning. We have lively panel discussions, benchmarking roundtables for peer-to peer sharing, expert insight sessions, case studies, keynote sessions, interactive workshops, and mobility masterclasses. All our Summits and Conferences are CPD accredited too, so be sure to complete our post-event survey to claim your credits. Book into our Mobility Masterclasses. Presented by EMMAs winners and industry leaders, these highly engaging sessions cover a range of topics that includes: how to create an award-winning team for your program (whether it's large or small), how to find that winning formula with your vendor partnership and how to harness technology for true innovation. You can learn best practice too if you want to redesign your global mobility program, or need to know how to better manage your business travellers and associated risks. Raise your professional profile and make new, valuable connections during the sessions and the extended networking breaks. FEM creates a collaborative, co-operative atmosphere where you can exchange ideas with like-minded peers. Meet and talk with new suppliers in a relaxed environment and find out how their specialist knowledge, expertise and tools can help you find the solutions to your most pressing challenges. Sorry - but we had to mention it... Brexit is unavoidable, and whether you are a UK citizen or not, it will affect you and your business. We have organised two special sessions with senior government policy makers from the Home Office – there is no political agenda – just an unmissable opportunity to find out exactly what is happening and what you need to do. 10. It’s FEM’s 10th Anniversary! How could you not be there for our biggest and best EMEA Summit ever? With inclusive sessions open to all from the very start of the Summit to the end, plus some ever-popular Corporates-only roundtables where you can discuss your challenges in confidence, there is unmissable content for everyone. Bring your team and be a part of this thought-provoking and invaluable opportunity. Take just two days out of the office and find a whole decade’s worth of inspiration! REGISTER FOR THE EMEA SUMMIT TODAY! Mobility Masterclasses announced for London!